I did not attend the parade at Avenida Paulista on Sunday, but reader José Ramón sent me some pictures of the floats to share with you guys. 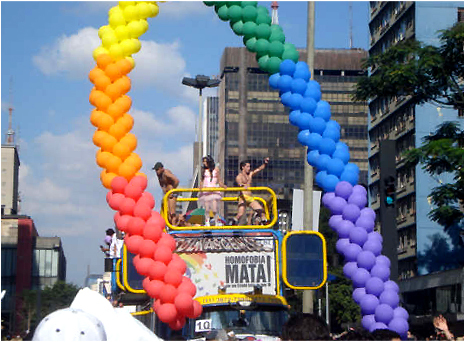 For more pictures of the 12th Annual São Paulo Gay Pride Parade, head over to DOM magazine for an extensive picture gallery. The boys from the magazine worked around the clock, and produced the best coverage of the event I have seen this year. If you would like to send your pictures to Made In Brazil, please use the email address on the contact button on the top left column.